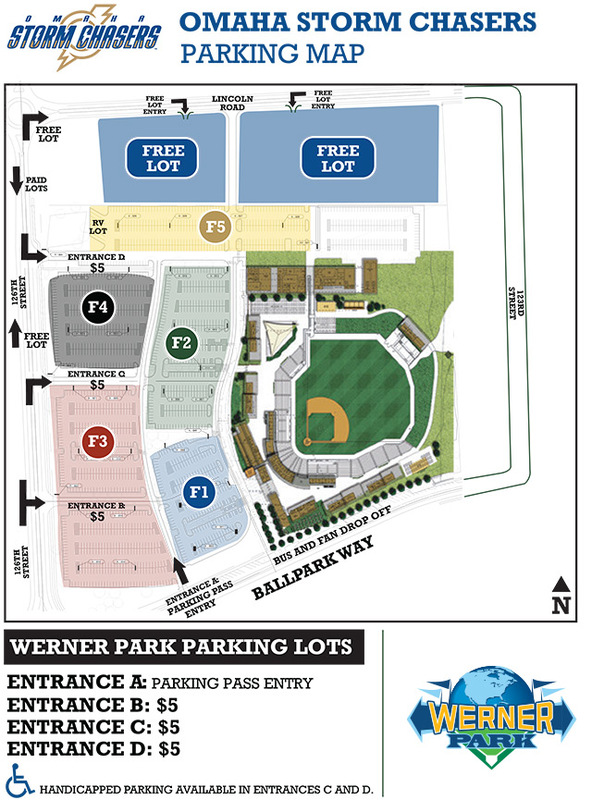 Parking will be on a first-come, first-served basis in all Werner Park lots. Holding or saving parking spaces is not allowed. Purchasing extra parking spaces is not permitted. 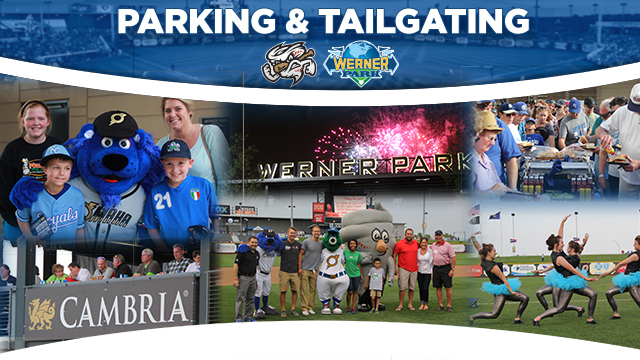 Vehicles cannot leave and re-enter Werner Park lots without repayment and will lose original parking space. Fire and driving lanes must be kept clear at all times. Vehicles blocking fire or driving lanes will be towed at owner's expense. No commercial activity is permitted. This includes, but is not limited to, selling merchandise, distributing promotional items, advertising banners, or any other solicitation. Personal golf carts, segways, and skateboards are not allowed in Werner Park parking lots. No overnight parking is allowed, any vehicles left overnight will be towed at owner's expense. The Omaha Storm Chasers reserve the right to revoke daily or season parking passes of those who do not comply with any parking guidelines. Tailgating is permitted in the all lots. Tailgating festivities cannot extend into additional parking spaces. Alcoholic beverages are permitted in Werner Park lots. Please use plastic cups for beverages. No glass allowed (please use plastic bottles or cups). Grilling is limited to grass areas in all lots. All cooking equipment must be situated away from crowds, buildings, and combustible material. A minimum clearance distance of three feet from cooking equipment is required. No grills are to be left unattended at any time. Tents and tailgating games may be used in grassy areas. Trash and recycling bins will be available throughout Werner Park lots. Please dispose of all trash and recyclables properly.